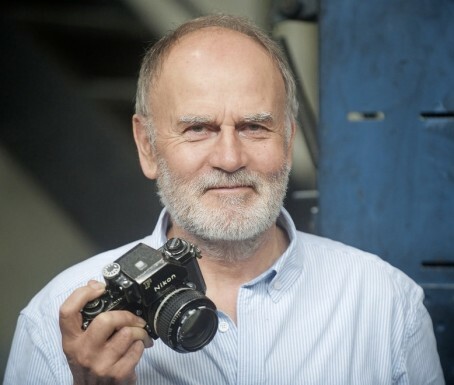 A picture editor has retired after 42 years spent capturing island life for a daily newspaper. Peter Mourant has left the Jersey Evening Post, the paper he joined as a photographer in November 1975 at the age of 22. He was appointed chief photographer three years later, and went on to photograph the Queen and other Royal Family members, as well as covering events including the Great Storm of 1987. Jersey native Peter, pictured, left the JEP yesterday. The 64-year-old told the paper: “It’s been a great career for me because I love taking pictures, I love looking at and choosing pictures and weighing up their various merits, and I love the Island. There are people who I see every day in the office and get on very well with too. During his career, Peter has worked under four editors – Mike Rumfitt, Mike Bisson, Chris Bright and current incumbent Andy Sibcy – who was born the year Peter joined the JEP. He added: “Chris Bright and Andy Sibcy have valued the importance of photography in the paper and I’ve enjoyed a great working relationship with both of them. that looks like an old NIkon film camera. F1 maybe? Good luck in retirement. Don’t be ashamed of knowing your stuff, Disgruntled Toggy. It’s technical knowledge like that, with an artistic eye and good quality equipment, that usually makes for the most memorable and engaging pictures. As fascinating as these post are, about who knows the most about old cameras, I think you’re probably missing the focus of the article (obviously all ex togs?). Good luck Peter, that was one heck of a career! Hi Caxton, I’m a current working tog (just!) not an ex tog! I haven’t missed the focus of the article, just discussing the finer points and obviously wish a fellow photographer/Picture Editor all the best in retirement! Current over-worked ‘tog here too! Naturally best wishes to Peter on his retirement.